In a recent interview with Sirius XM’s Shade 45, rapper Eminem whined about how President Trump was ignoring him. In October, the “artist” had put together a freestyle rap targeting the President. The rap itself was poor quality. But the words were preposterously nasty and in incredibly bad taste, which is in keeping with the words of all his raps. 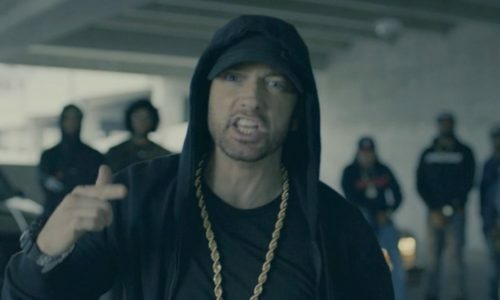 But the hilarious thing is that Mathers somehow thought his little angry dis rap was going to get a response from President Trump. Of course Mathers is a delusional self-serving punk with no respect for the President or anyone else. The fact that he tells his own fans to “F&$*” off is really pathetic. The fact that any of them take it is even worse. Of course Trump has nothing to say to you, Marshall. You are irrelevant. He’s got actual predicaments that need to be solved, you know, like illegal immigration, terrorism and the North Korean madman. An American madman running his big ugly mouth, like you, simply isn’t on the radar. Your fans may enjoy your depressing profane rapping, but the rest of us just want you to go away. Any rapper out there who’s a hater of Trump / We’re drawing in the sand a line, you’re either for or against / And if you can’t decide who you like more and you’re split / On who you should stand beside, We’ll do it for you with this / Make America Great Again! Warning: the video below contains Marshall Mather’s usual array of filthy language.